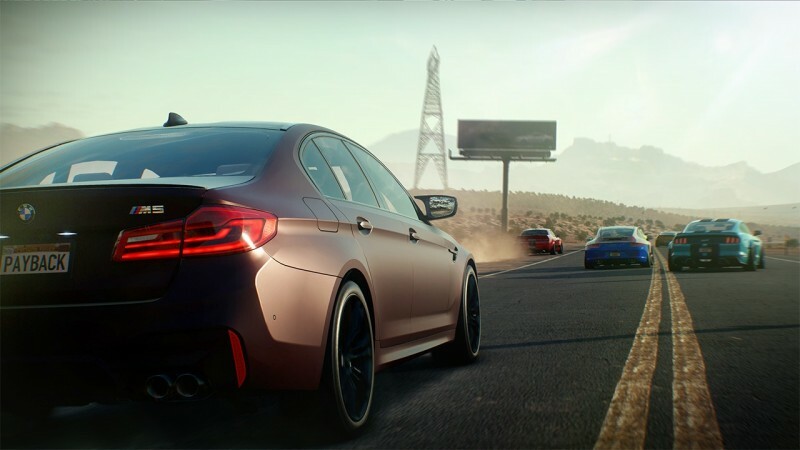 Need For Speed has repeatedly attempted to reinvent itself, trying out new twists within the arcade racing milieu to stay fresh after 20 years of releases. 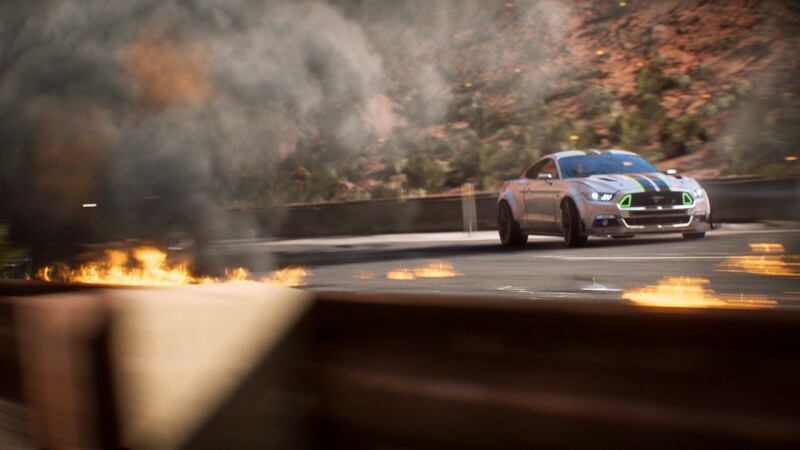 In pursuit of that novelty, Payback throws an enormous array of activities at the wall to see what might stick, including car customization, police chases, drifting, collectibles, offroad jumps, blink-and-you-miss-them drag races, and supercar highway sprints. The sheer scope of activities is impressive at first, but consistent technical problems, hackneyed storytelling, uneven balancing, and a wildly frustrating progression system all combine to sap the fun. Payback is like being behind the wheel of a riding mower as you cut the lawn of a beautiful estate; it may be pretty and have lots to look at, but it’s still a tedious chore. Tyler and his crew have been betrayed, and they’re out for revenge against the nebulous threat of “The House,” a shady organization that runs the Need For Speed analog of Las Vegas. With each new stereotypical character intro, plot beat, and dialogue line, the vapid storytelling made me wince a little more, right up until the unfulfilling and anticlimactic ending. After “crushing it” and “doing it for the streets” with “drifting anarchist hackers” for several dozen hours, I found myself longing for the nuanced scripting of a Jason Statham film. 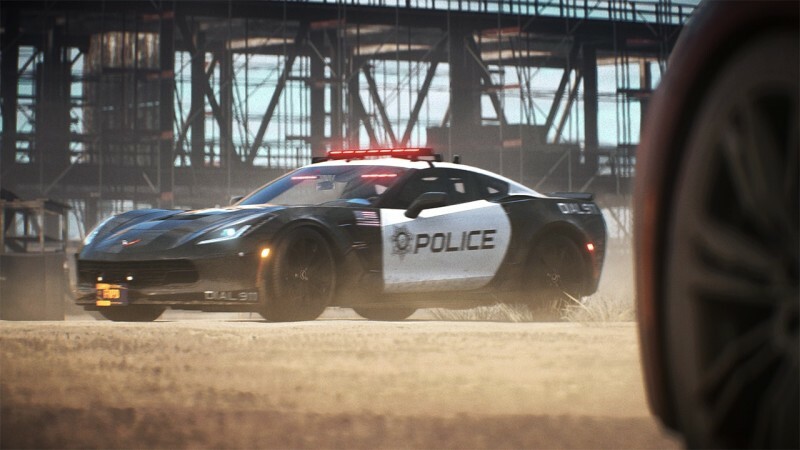 On the bright side, the open world of Payback captures the stark beauty of the southwest United States, with the glitzy trash of Vegas, the sprawling deserts of Nevada, and the jagged rocks of southern Utah. The open world has plenty of billboards to smash through, switchback roads to drift along, and secret collectibles to track down. Tons of events, races, and activities can be tackled around the map, and I appreciate the breadth of content, even if some of the races feel like copies of events I already completed. The cars you drive through these attractive settings are varied and cool to look at. Modding your car’s visual style is versatile, but never feels especially meaningful or worth the time and money. It’s too bad that the derelict car system is so tiresome. Ostensibly, it’s built to let you find the parts to an old car and rebuild it into a monster. In practice, between collecting parts from cryptic road maps, rebuilding the vehicles, and upgrading them, these versatile rides end up feeling like they’re simply not worth the ample effort required to make them viable competitors. No matter the vehicle, I struggled to enjoy the feel of the rubber against the road, or to really recognize how any one car in a given class was different from another. Handling across all the car types is often loose and vaguely out of my control. Drifting is oversimplified and imprecise. Police chases don’t have the urgency and challenge of earlier franchise entries. Until the late game, street races lack the speed and control that can make a game like this feel tense. 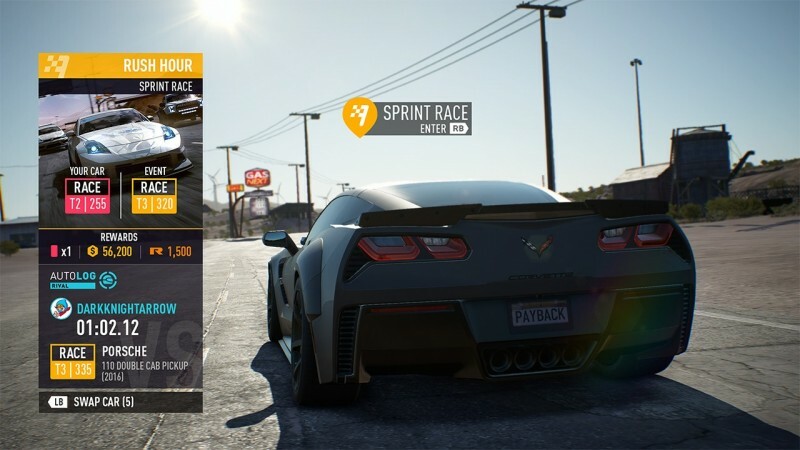 Payback’s greatest sin is its infuriating progression mechanics. In what I can only presume is an effort to extend the life of the game and encourage engagement with the microtransaction system, improving the performance of your rides is a slow and poorly paced process. Instead of giving you clear control over how to make a car better, you’re forced into a strange confluence of currencies, speed cards, spare parts, and numerical values. Growth is tied to random improvements on sale at any given time at the tune-up shop, along with a literal slot machine mechanic – all of which tie back to currencies obtainable through real-world purchases. The further into the game you go, the longer it takes to reach the next story event’s power threshold. The result is you either invest time grinding or spend real money multiple times to get up to snuff, or alternately feel consistently underpowered in every race you enter. And this must be done with multiple car types, not just one, since offroad, drift, drag, race, and runner vehicles all have separate upgrade paths. The problem is exacerbated by wildly uneven balancing and rubber banding during events, teetering back and forth from too easy to too hard, so you never really know when you’re ready to move on and tackle a task. Technical problems also crater the game’s potential. U.I. fails to load immediately after an in-race cinematic sequence or crash, leaving you facing crucial seconds with no navigational aid. Distant objects (like turn warnings and enemy racers) have occasional pop-in problems. Load times are weirdly long. Opponent A.I. acts wonky, sometimes veering into siderails for no reason. Mini-map navigation often sends you along unnecessarily complex routes, rather than recognizing simpler paths to an objective. Multiplayer lets you take on opponents in ranked or unranked playlists. The online battles are passable, but opponent cars regularly fail to load in at race start, leading to a bumper-car-like scrum with invisible foes in the opening frantic seconds. After that, the online races can be enjoyable, but marred by matchmaking that struggles to find a good match of players. And when I ran up against a particularly tricked-out competitor, I couldn’t escape the suspicion that someone had simply paid their way into a winning position. 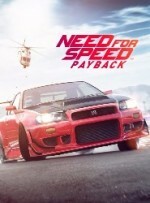 Scattered across its unnaturally lengthy campaign, Payback has several fun event sequences that blend cinematic action with rousing racing. And as players begin to control more sophisticated cars, the sense of excitement and speed can be engaging. Unfortunately, too much of the rest of the game feels lackluster, unpolished, and catered to other priorities besides fun. 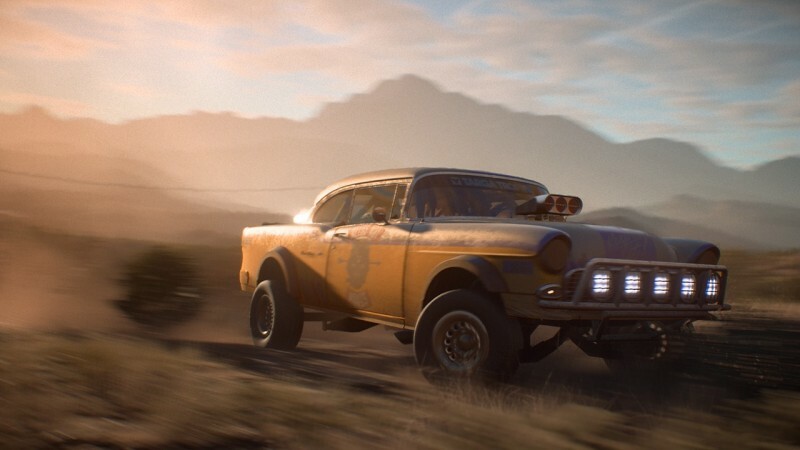 Payback hits a lot of the checkpoints on a bullet list for a big modern racing adventure, but lacks the discipline and execution to come in for anything but a disappointing finish. Big ambitions are stifled by poor execution, shoddy storytelling, frustrating progression, and technical hang-ups in the latest entry of the venerable racing series.